Following on from a recent blog post on writing style, I’d like to share with you something I came across some time ago now – this time looking at the structure of your blog. I came across this rather handy illustrated guide to a ‘perfect’’ blog post structure on socialtriggers.com. 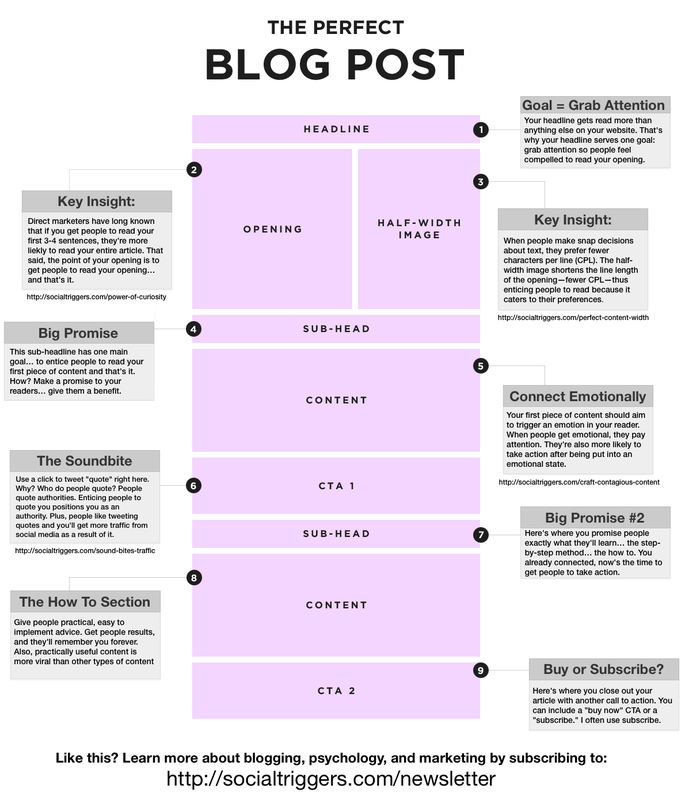 Do bear in mind that blogs can be brilliant without following this structure down to a t… but it has some solid thinking behind it that’s worth a look. (Ten points to the first person who points out that the Hexagon blog looks nothing like the image below)!